The KNK Zing Orbit is KNK USA’s latest release into the world of digital die cutting. With over 1000 grams of force and speeds up to 30 inches (762mm) per second, this new cutter is a stand-out choice for crafters and small business owners. Whether you’re cutting vinyl or balsa wood, paper or magnetic sheets, popup cards or rhinestone templates, the Zing Orbit is a perfect choice. Let’s get started with the KNK Zing Orbit Review! The Zing Orbit is now available in two sizes: 15″ and 24″. These dimensions represent the maximum possible cutting width. Prior Zing models were limited to 14″. Attachable front and back tables keep the cutting mat level for cutting. Adjustable pinch wheels allow for a wider range of rolled materials (such as vinyl and HTV) to be cut without using a mat. For example, you can feed 4″ wide vinyl, 12″ wide vinyl, 15″ wide vinyl and even 24″ wide vinyl on the 24″ wide model. The laser light has been replaced with an advanced optic eye for automated print and cut applications. Easier calibration means very precise results can be expected. Increased cutting resolution and a stronger motor are resulting in smoother operation and better detail on tiny cuts. Retail pricing for the 15″ Zing Orbit is $449. The 24″ Zing Orbit is offered at $960 and comes with the attachable flatbed tables. The Zing Orbit has a signature accessory planned for release later this year, the Orbit. The Orbit accessory attachment will allow users to draw and engrave on cylinders and spheres, like bottles and ornaments. Personalized, engraved wine bottles are one such application sure to be a hit with event planners. KNK USA partnered with Craft Edge, makers of Sure Cuts a Lot, to ensure full compatibility with the Zing Orbit at launch. For those who already own Sure Cuts a Lot, this ensures an easy transition to new hardware. For new users, the Zing Orbit user manual dedicates many pages to learning the ins and outs of Sure Cuts a Lot and how to create and cut your own designs. Another new addition is a behind-the-scenes technical innovation that optimizes the rate at which data flows during cutting between software and the Zing Orbit. 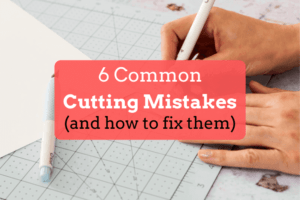 Without going into a lot of technical mumbo jumbo, what it does is prevent errors during cutting by managing a steady stream of data to the machine and never overloading it. Too many nodes, Your Majesty? Not with the Zing Orbit. Setting up the Zing Orbit is a straightforward, plug and play affair if connecting with USB. The Zing Orbit can also connect to your wireless network with some additional configuration. This allows users to cut wirelessly from any computer on the network running Sure Cuts a Lot and from farther distances than Bluetooth would allow. The Zing Orbit has one cutting head, like its predecessor, meaning that a tool change must occur in order to perform applications such as score and cut. At this time, the only KNK cutter with dual heads is the Force. Sure Cuts a Lot makes it easy to switch tools and perform a second action with a variety of cutting and configuration options, even supporting multi-color projects using a variety of pens or markers. Like other KNK machines, the tool holders are large and versatile, allowing customers to use a variety of implements to execute their projects. A pair of thumbscrews in the tool holder allows the insertion of nearly any pen, marker, and even traditional handheld embossing tools and accessories from other vendors. KNK wants its users to be creative in how they use their machines, not limit them to a specific line of accessories as some manufacturers do. An exciting new feature of the Zing Orbit is Automatic Registration Tracking when executing print and cut projects. After positioning the blade over the first registration mark, the Zing Orbit will proceed to scan the mark and then advance to and scan the remaining three registration marks. This process takes less than 30 seconds and it works. Unlike the Cricut Explore, which limits your print and cut size to 8.5″x 6″, you’re only limited by how large you can print with the Zing Orbit. If your printer can print 13″x19″, you can print and cut that size. This is especially useful when mass producing repeat designs, such as party favors or promotional materials. Accuracy across the page is impeccable. It’s just one of the professional features that elevate KNK cutters above hobby machines such as the Silhouette Cameo or Cricut Explore. When working with the Zing Orbit, one of the first things you’ll notice is how quiet the machine is. 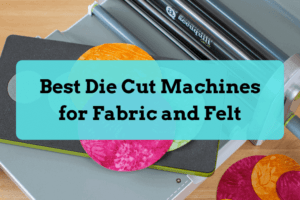 If you’ve become accustomed to the incessant beeping and grinding noises of other cutters, you may wonder how this machine can have so much cutting pressure but do it with such finesse. The quality of cutting remains consistent even at elevated cutting speeds, which is quite remarkable. When calibrated, print and cut is unbelievably precise across the whole page. This machine is full of pleasant surprises. With its high cutting pressure, enhanced print and cut capabilities, front and rear metal tables, and the availability of a 24″ model, the Zing Orbit is the new star in the KNK USA electronic die cutter product line. It draws from features found previously only on the top-end KNK Maxx Air and adds a few new tricks of its own. The only regretful exclusion is a second tool head for more efficient dual tool operations. We’re excited to see what kinds of exciting new projects can be created with the Orbit attachment later in the year, but the existing features and design of the KNK Zing Orbit make it a capable, attractive and worthy machine for the enthusiasts or small business. Do not purchase this machine!!! It is a peice of junk. Mine did not work properly from the moment I took it out of the box. Have been battling with the company to have it fixed since May, and now at the end of August they are charging me to ship the parts to repair the defective machine. I loved my original Zing that I used for over 5 years, but will never make another purchase from this company again. I advise anyone to consider another machine/company instead of this one. Customer service is crucial to know about! Thanks for the info. No one can afford to buy something important if it doesn’t come with good support. I’ll check around to see if others have nightmare stories too. Thank you sooo much for posting your experience with the machine and with their customer service. Bad experience! In a very brief way… I went in person to Accugraphic Sales Inc. and I left my “never worked” Zing to be fixed over a year ago. I never got a call back or e-mail. After that I went there three times and they always saying they still haven’t found my Zing. Yes… they lost my Zing! Last time I got kicked out of the office. They threatened to call the police if I didn’t leave the place. It’s clear to me now that this company is not doing the right thing. Perhaps the older brother had solved this problem in a smarter way. Unfortunately, I’ve no option but bring this company to the court. Sad! Really, do you spend your life telling lies or do you just want to make a name for yourself – So sad that you can’t face reality especially as, to my knowledge, everyone has bent over backwards to resolve your problems. The KNK team do an excellent job and their support can’t be beaten. They are one of the best companies I have ever dealt with in the computer and cutter world. I would buy again from them without fear. Accugraphic are the best!!! This has been my experience, too. My machine has had no problems, but I have run into a few situations I couldn’t figure out. I file a support ticket or open a thread on the forum and they come through with an answer immediately. We really need a bit of help getting started. Have called and emailed support but have not received a response. I’ve researched vinyl cutters quite a bit lately and I’ve narrowed my choices down to the 24” Zing Orbit or the Graphtec CE6000-60. Which machine would you recommend? Thanks in advance. Is the company still business? Nothing much on the website is in stock. Looked there phone number and it starts out asking me to take a survey about a cruise?